Dino Melaye and Shehu Sani are regarded by many as controversial figures due to their style of advocacy. They are prominent Nigerians who have carved a niche for themselves as Marxists. They share so many things in common. One of such things is their vibrancy on social media. Dino Melaye and Shehu Sani are some of the most active politicians on social media. Although Senator Ben Murray-Bruce is also active, he doesn’t come close to them. However, many have accused Dino Melaye of being an activist because he was out of favour with the powers that be. Now that he his party, the All Progressives Congress (APC) has captured the center, many are asking if he will still keep up the tempo. People from Kaduna Central Senatorial district are quite optimistic that Shehu Sani will represent them adequately in the upper chamber. Shehu Sanni has always been known to defend the Northern course. After President Muhammadu buhari’s victory at the polls, Shehu advised that the recommendations of the National confab should be gone with Jonathan. He said, “My personal opinion is that when Jonathan is leaving the Villa, he should not forget to take the recommendations of the conference. It should be part of the load taken to his vehicle”. That statement further revealed his stance on National issues. He is unapologetic in his advocacy for the Northern course. Shehu Sani would see his new position as a better opportunity to propagate the minds of the average Northerner. I would be recalled that he voice was one of the loudest when over 200 school girls were abducted from Chibok in Borno state. In an interview with Isha Sesay of CNN, Shehu Sani lambasted the administration of President Goodluck Jonathan for not doing enough to rescue the girls and put an end to insurgency. In his usual style of activism, the human rights activist turned politician last week, cautioned President Muhammadu Buhari against making office of the First Lady flamboyant, saying that it is wrong and unconstitutional. He said, “I want to advice our own party members who are in government at the executive level to be very much cautious about making the office of the First Lady flamboyant,” he said. “This is because I am not aware whether the constitution of Nigeria recognized that the First Lady has an office and that she must be called Her Excellency. And it should therefore by very unconstitutional to allocate money to the office of the First Lady. “It is very much wrong also for the office of the First Lady to be turned into a platform for celebrities and for all sorts of jamborees as it has always been. So, I think President Muhammadu Buhari should be very careful about that,” Mr. Sani said. Recently, Shehu Sanni took to his face book page to commend Buhari for walking out an Ambassador who made it late for a meeting. He said, “An Ambassador told me that President Muhammadu Buhari invited them for a dinner in the villa scheduled for 7pm.The Ambassador arrived at the gate of the villa by 7.15.He was denied entry because he was late. He was told that Buhari was on the seat at exactly 7pm. He further stated that “the ambassador felt bad for been denied entry but felt happy that Nigeria now has a punctual leader, a stickler to time. He revealed that this is a radical departure from the political culture of the past, where even official matters were delayed for hours and most times even postponed indefinitely.” He said. Dino Melaye was a member of the Federal House of Representatives from 2007 to 2011 as a member of the Peoples Democratic Party (PDP). He was dubbed as the troublemaker of the house due to his dogged ways. It was during the tenure of Mr. Melaye that politicians fought themselves over national issues. Melaye was usually the ring leader in the scuffles that ensued. Melaye literally fought his fellow members when they had disagreements over issues. The most memorable one was in 2010 when Hon. Dino Melaye tried snatching a paper Ogbuagu was reading from him. It led to a fight which took the intervention of the security agents to restore calm. His action made the Speaker of House of Reps, Dimeji Bankole to suspend him for one year. Melaye was forcefully bundled out of the chamber when he tried to resist the decision to suspend them. Melaye, a politician turned activist is now back as a lawmaker after defeating two term Senator, Smart Adeyemi. Dino Melaye dumped the APC for the PDP when he failed to make it back into the house for a second term. Melaye played a pivotal role in the nationwide fuel subsidy protest of January 2012. While Pastor Tunde Bakare led the Lagos protest, Dino Melaye was at the fore front of the Abuja protest. 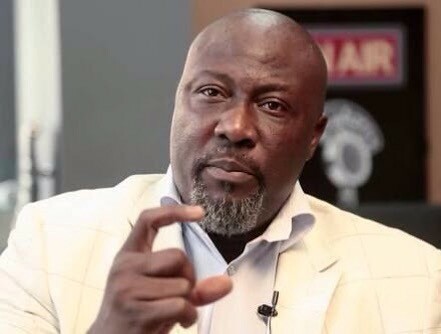 Many saw Melaye’s involvement as a way of getting back at the ruling party (PDP) for not giving him a return ticket back to the House of Reps. Melaye in the course of the protest called the president so many unprintable names which led to his arrest by members of the Nigerian police force. He was however released on bail few hours later. Melaye was also involved in the “Bring Back Our Girls” protest which many viewed as anti-government. The protest was seen as a genuine protest for government to wake up to its responsibility. However, people began to see it as a political movement to discredit the government of President Jonathan when Dino Melaye got involved. However, contrary to the view above, Bolaji Akinyemi from Melaye’s constituency is the view that he would continue to fight for the masses. He said, “His antecedents and his current statements show that he is a man of who is committed to salvaging this nation. Melaye is not there for his selfish interest but for the interest of the ordinary Nigerian. He is a grassroots politician and that was why he was able to defeat Smart Adeyemi. His people back home know that he would represent them better than Adeyemi that was why they voted for him. I am sure that he won’t disappoint the masses.